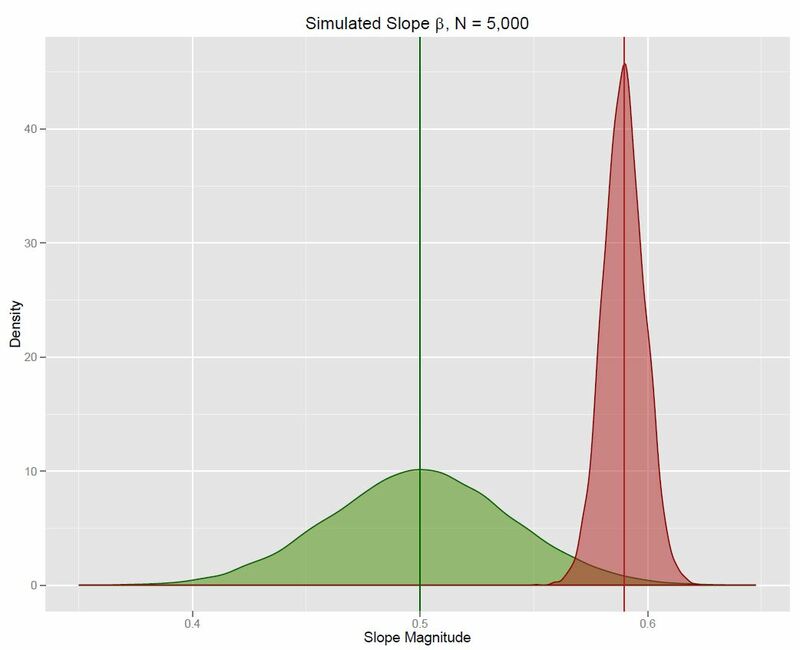 This is the first post in a series devoted to explaining basic econometric concepts using R simulations. 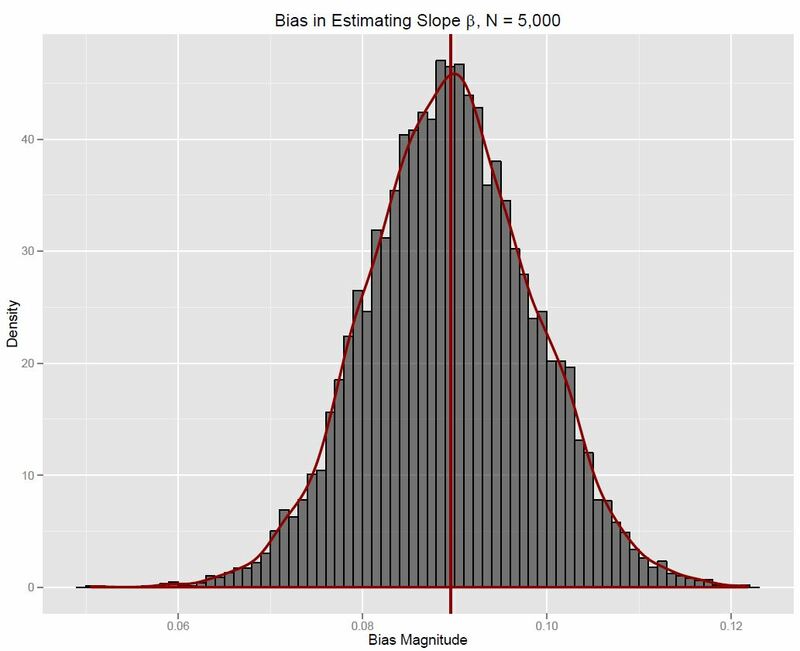 The topic in this post is endogeneity, which can severely bias regression estimates. I will specifically simulate endogeneity caused by an omitted variable. In future posts in this series, I’ll simulate other specification issues such as heteroskedasticity, multicollinearity, and collider bias. , first with model 1 and then with model 2.
. This compromises the ability to perform any meaningful inferences about the true parameter. Here is the distribution of the bias, it is centered around .0895, very close to the true bias value. The case above was pretty general, but has particular applications. For example, if we believe that an individual’s income is a function of years of education and year of work experience, then omitting one variable will bias the slope estimate of the other.